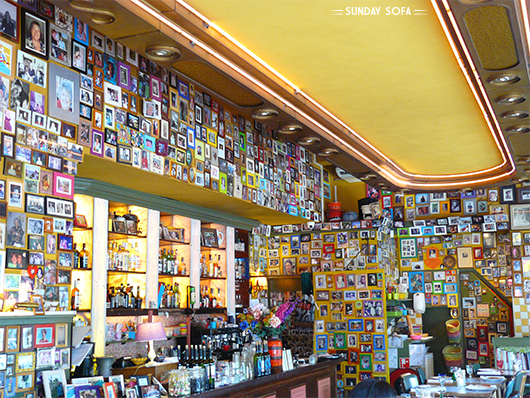 Sunday Sofa: a blog of unique places: THERE’S NOT ONLY ONE MOTHER! 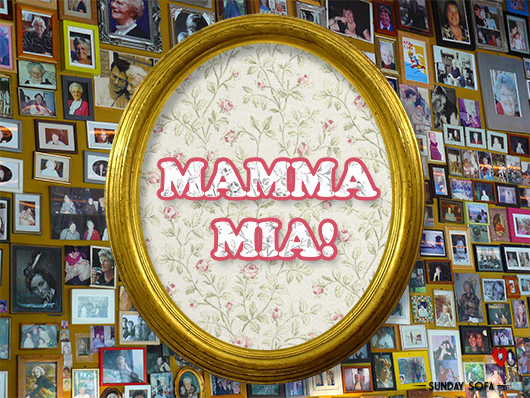 THERE’S NOT ONLY ONE MOTHER! In Dutch, Moeders means “mothers”. You will hardly find a name that better describes a place. 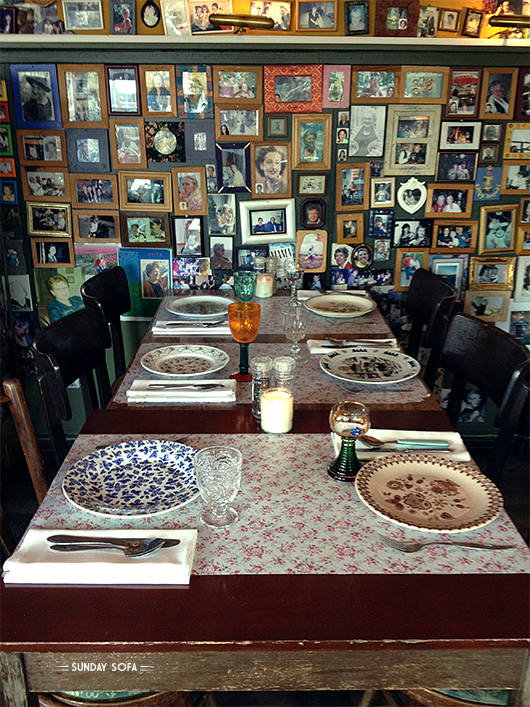 In this restaurant you can eat nutritious and filling dishes, just like at your mother’s house. Plates, glasses and cutlery are all different, like they’ve been found on your mother’s cupboard. In reality, they have been collected during the opening of the restaurant as each guest was requested to bring something. 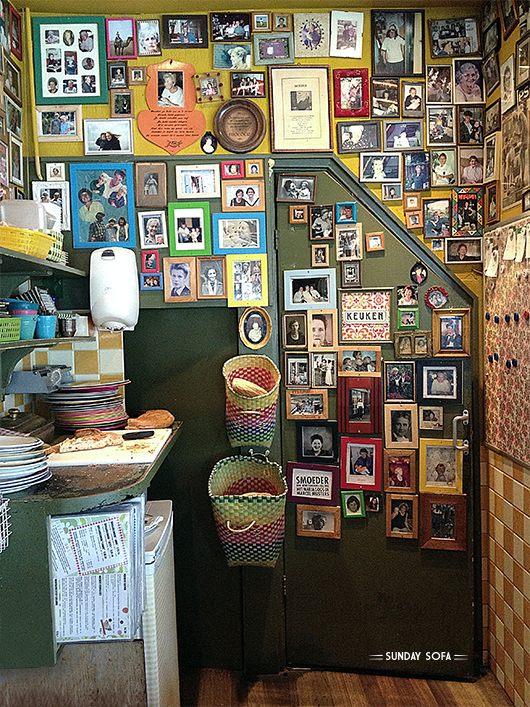 And the entire surface of the walls is covered by pictures of mothers from all the World, everywhere, taken from people who ate in this small restaurant along the canal and contributed to make this spot in Amsterdam unique.